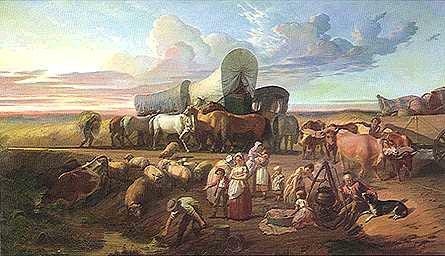 This picture represents early pioneers arriving in Kane County in the late 1830 - 40s. They came in prairie schooners to settle the Fox River Valley. wonderful architecture, antique shops, parks, fun festivals and bike paths. My paternal grandparents left The Netherlands and Belgium in the early 1900s, spent some time in Wayne County, New York and then joined other Dutch and Belgian immigrants in St. Charles. 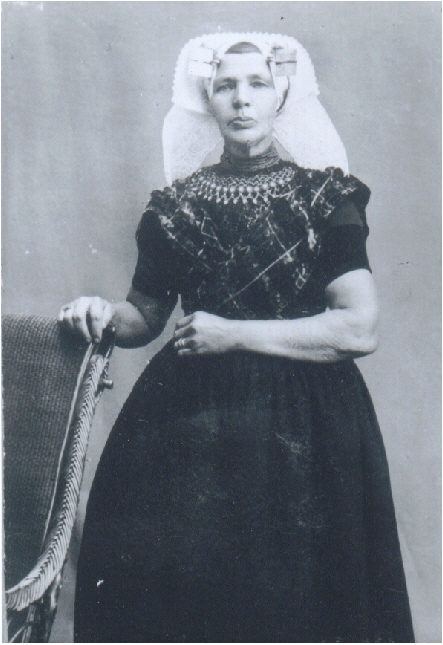 This is Maria MASTBOOM Simonse, my greatgrandmother in 1913, just before coming to the United States from "Holland". She is dressed in the native attire of her province - Zeeland, The Netherlands. In 1913 the Dutch referred to themselves as being from "Holland". Today, that is like saying someone is from Illinois, when they come from Texas. Eventually more Dutch and Belgian links will be added to this site as St Charles had a large influx of immigrants from those locations in the early 1900s. Geneva had a number of Swedish imigrants, hence one of their official festivals is "Swedish Days". been so much more interesting! through the communities of this site. The terrain of Kane County is primarily prairie with rich black earth and rolling lands gently sloping to the Fox River Valley, most of the farm lands are disappearing to development. 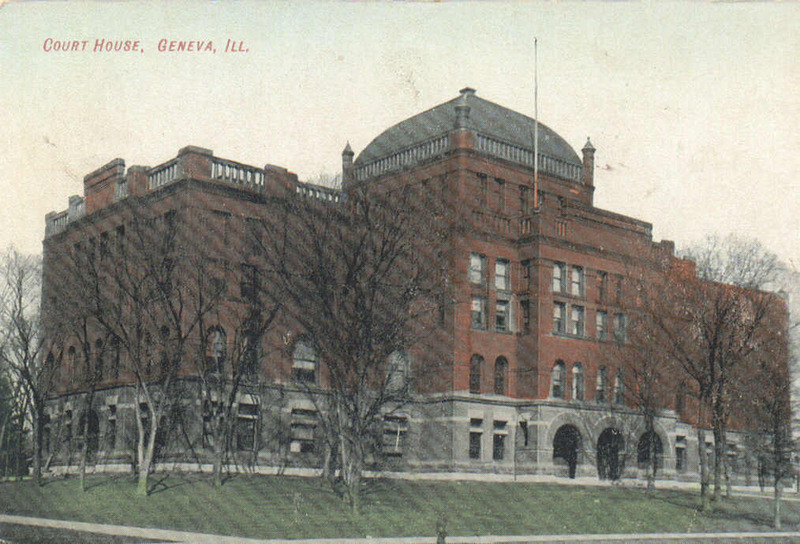 There are several web sites that offer vintage postcard tours. YOU can see the area NOW - as your ancestors might have "back when". You may want to consider using vintage postcards in your family albums to give future generations a better understanding of "the way it was". Elgin Postcard (and History) Tour. Click here for additional image sources. As I revamp these pages, vintage postcards and photographs of the county and communities will be added. These are my first web pages, initially done in 1999 & 2000, updates are being done now as time allows. Please accept my apologies for the long delay in updating information and the email address. You may notice that some of these pages indicate I will transcibe biographies. Unfortunately, I'm not able to do that at this time. In the mean time, I hope you will find the information transcribed here useful. paraphrased or extracted for clarity. January 16, 1836 from LaSalle County. Look to Putnam County for earlier records. and the History of Kane County, Illinois. and many (currently broken) exterior links to other resources.